A type of brain function is impacted in a similar fashion in patients with Alzheimer’s whether disease onset is early or late in life. Autosomal-dominant Alzheimer disease (ADAD) is caused by rare genetic mutations in three specific genes and typically occurs in younger people. The more common late-onset Alzheimer disease (LOAD) impacts those who are older. Beau Ances, MD, PhD, a neurology professor at Washington University School of Medicine in St. Louis, Missouri, and colleagues examined functional connectivity breakdown in both forms of the disease. The connectivity involves networked brain regions working in step with each other. When such coordination begins to break down, it signals the onset of Alzheimer's. 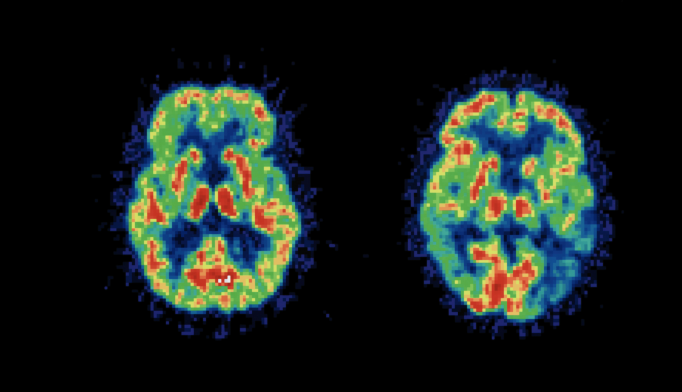 Functional connectivity magnetic resonance imaging changes with progressing Alzheimer’s were similar between ADAD and LOAD, the researchers reported in JAMA Neurology. One benefit of the findings is that checking functional connectivity in the brain could be a way to monitor how Alzheimer's treatments are working as the disease progresses. Uninherited Alzheimer’s disease is a common form that usually affects older people, whereas the much rarer, inherited form — also known as early-onset Alzheimer’s — strikes people much earlier in life, sometimes as young as 30 or 40. Now, a new study led by Washington University in St. Louis, Missouri, finds there are networks in the brain that are affected in a similar way by both forms of the disease. Reporting the findings in the journal JAMA Neurology, the international team suggests that in both inherited and uninherited forms of Alzheimer’s, the same basic component of brain function begins to decline about five years before symptoms such as memory loss become obvious.